The Berlin Wall… wasn’t sure what I was going to see but I had heard that pieces of the wall still stood in the city. We found a still-standing segment of the wall dividing old East Berlin from West Berlin and the East Side Gallery showcases pieces of the wall that have been used as canvas by artists in the 1990s. Brandenburg Gate… the only remaining city gate from the old city. Cinestar Original Movie Theater at Sony Center…OK, it doesn’t qualify as a historic site but we heard stories that there was an English-language movie theater in the city and we were eager to watch a first run movie in our native tongue. We made it into Berlin by noon on Saturday. We left our bags with the hotel reception desk (rooms not available until 2pm) and then took the metro directly to Alexanderplatz, a large shopping district in Berlin. From there, we followed the blue signs on street posts that direct tourists to the top sites. We decided to begin our visit to Berlin with a visit to the DDR museum, a place dedicated to better understanding what it was like for residents to live in East Berlin during the Cold War period. It’s a pretty cool place to hang out WHEN it’s not packed with visitors. It is such a tiny museum space that reading all the placards and touching the exhibits is practically impossible without bumping into your neighbor. It did have a Trabi on display–this is the car that East Germany designed and marketed after the explosive success of West Germany’s VW beetle. The Trabi was made out of plastic and once ordered, took 16 years to receive from the factory! After DDR museum, we found both Dunkin Donuts and the Brandenburg Gate conveniently next to each other. How happy the kids were to see the donut sign; how surprised I was to be standing in front of the world’s most famous gate! I’d say it was a win-win afternoon after this stop. To round out our evening, we hiked over to the Sony Center and did find the English-language movie theater. Tim bought tickets for us to see Spiderman in 3-D and it felt so good to sink into those comfy, rocking theater seats and revel in the English language without having to read sub-titles. Interesting for us: we were the only English-laguage speakers in the theater. Everyone else was German or Pakistani! This past week, Tim gave me the good news that he had a long weekend off from work—meaning 4 days of unstructured time where we can be crazy and generally goof off. In past years, we really do go crazy by undertaking some DIY house project that turns into 4 weeks on non-stop stress. But, living in government quarters limits the options for creative design. So, I tackled something I’ve wanted to do for many years…plan and execute a weekend excursion in under 24 hours. 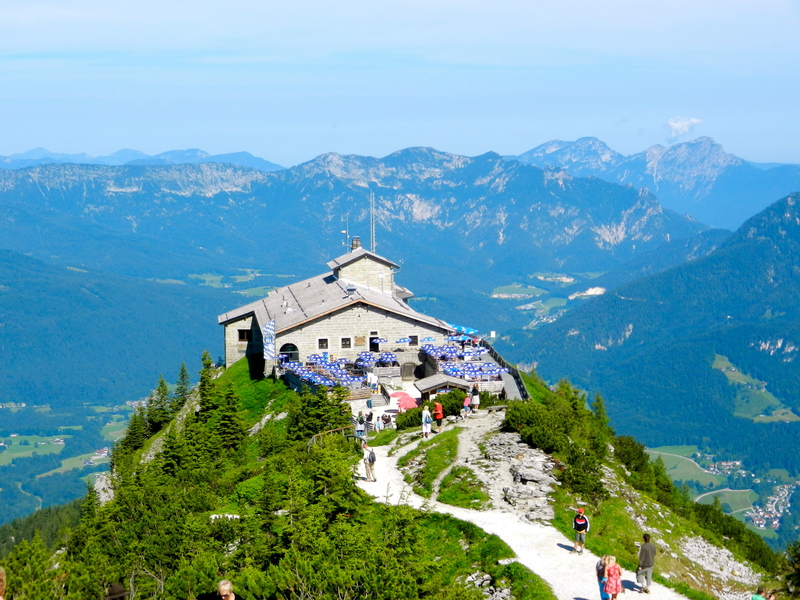 Nestled at the base of the German alps are hundreds of little lakes called “sees.” A popular one for tourists when visiting Berchtesgaden is the Konigsee, a thin finger lake that is visible when you’re at the top of Kelstein (Eagle’s Nest). Electric boats ferry passengers between 2 stops on the lake and we chose to visit the second stop, the bottom tip of the Obersee. 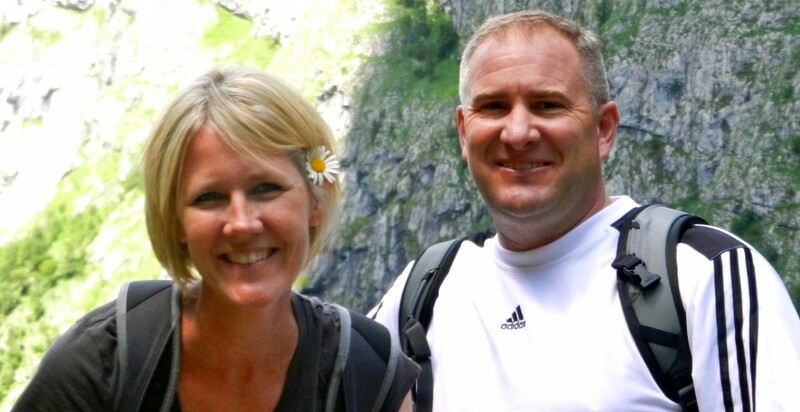 We took the easy 1 hour hike from the ferry stop to “almost” the base of a waterfall high in the alps. The views along the path were breath-taking and Tim and I decided this is one place we want to come back to and complete the trek to the base of the waterfall. 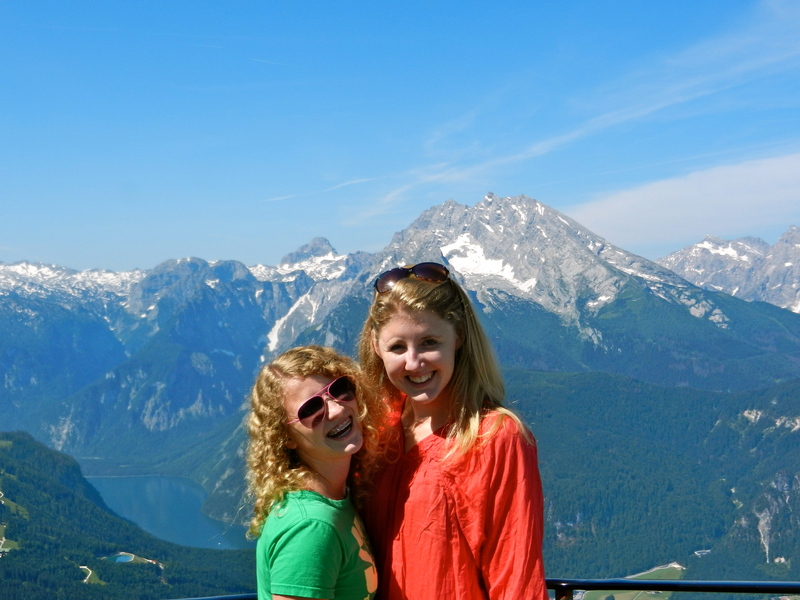 We loaded up the van and drove to the delightful tourist town of Berchtesgaden, Germany. 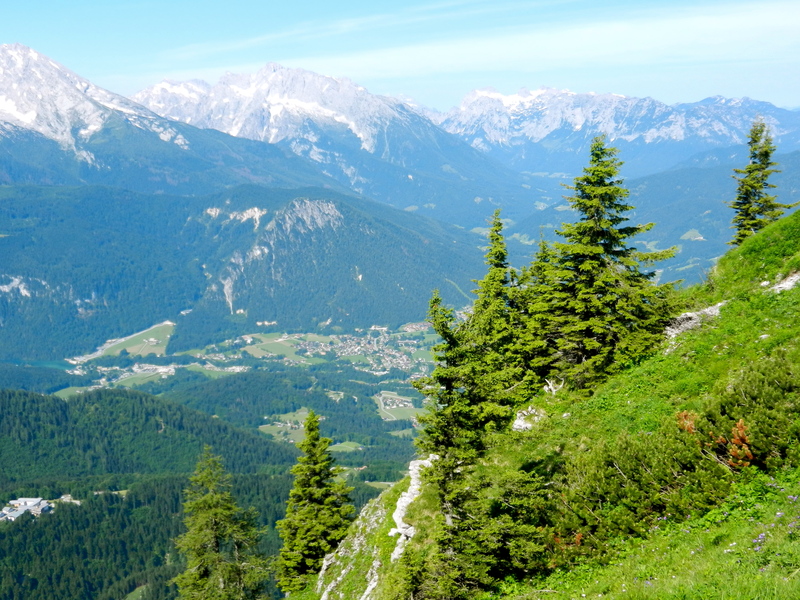 We selected this village because of its proximity to Salzburg, Austria and its connection to WWII (specifically as the city where Hitler’s Eagle’s Nest retreat was built). 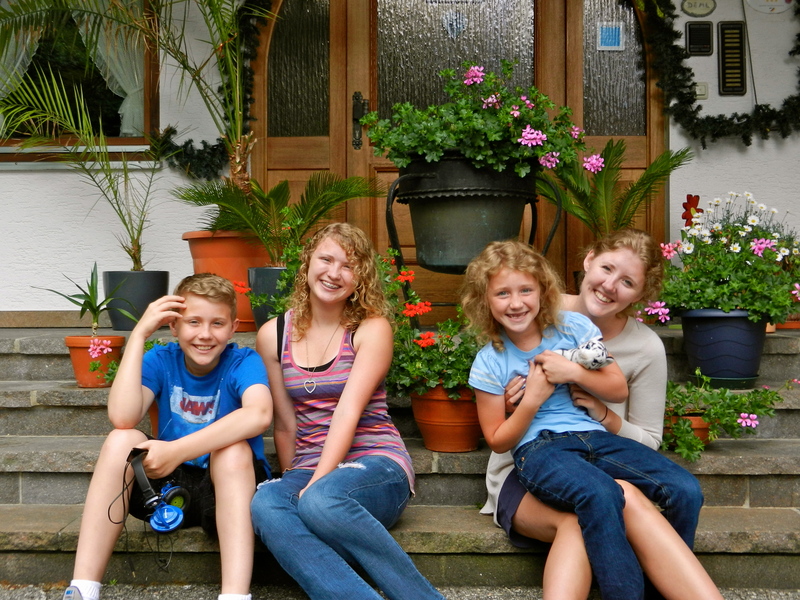 Tim found a great little gausthaus with enough space for the entire Rietkerk brood. Mom and Dad’s little apartment even had a small balcony where they could enjoy a glass of wine and a view of the hillside. 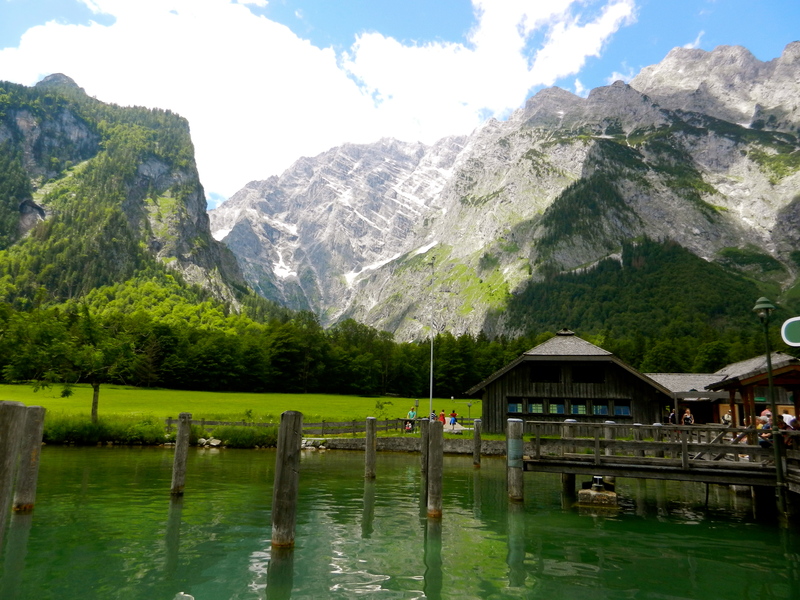 Our first stop was the Konigsee, about 20 minutes from the B-n-B. 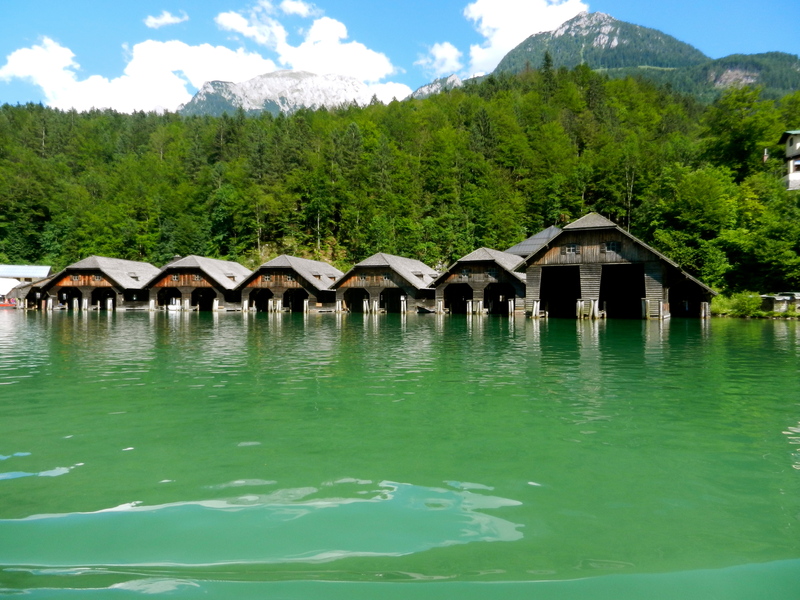 A retreat for many Germans, this lake is hidden from the parking lot by a bazillion tourist gift shops selling worthless trinkets highlighting the treasures of Bavaria. It reminded me a bit of Tijuana, Mexico except more charming. 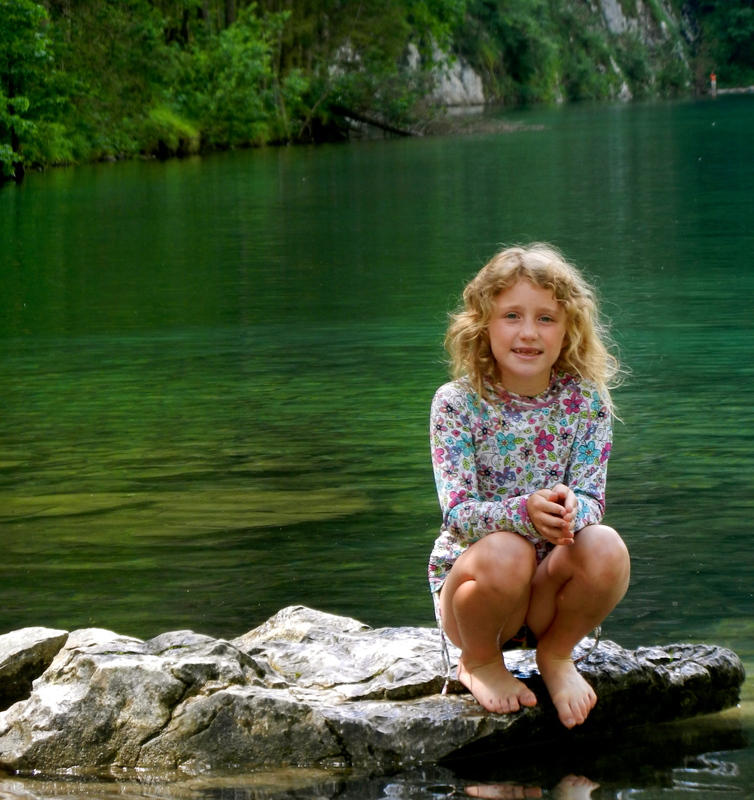 The lake itself is spectacular; emerald green waters and soaring mountains surrounding it. 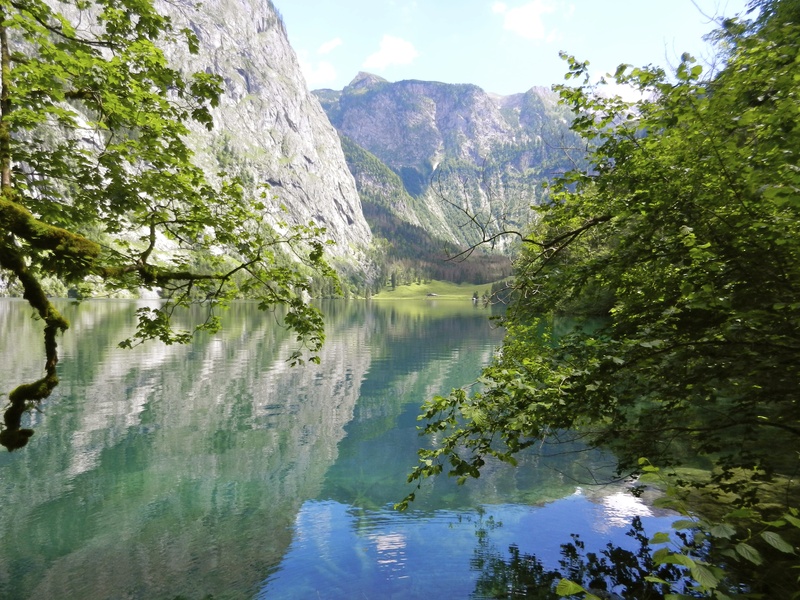 A few days later, we took a boat ride from the docks to the other side of the lake and then hiked to the Obersee, a one hour trek through forests and on the side of a cliff. (Don’t worry…there are steel cables along the rocks to help you anchor yourself to the side). At the end of the hike we were treated to a fantastic view of a huge waterfall and peaceful waters of the Obersee. What to do with a week off of school and work? Time to take a trip. Many of our friends opted for warmer locales…Portugal and Italy; but we decided it was time to go north to see the tulips of Holland. Along the way, we planned a stop in Cologne, Germany, home to the 3rd largest cathedral in the world (after Seville, Spain and Madrid, Italy). The Dom was completed in the mid 19th Century after a 350 year pause in construction. Seemed the Germans in the area suffered from a little recession brought about by the discovery of America and new trade routes which ditched the Rhine in favor of the wide open seas. 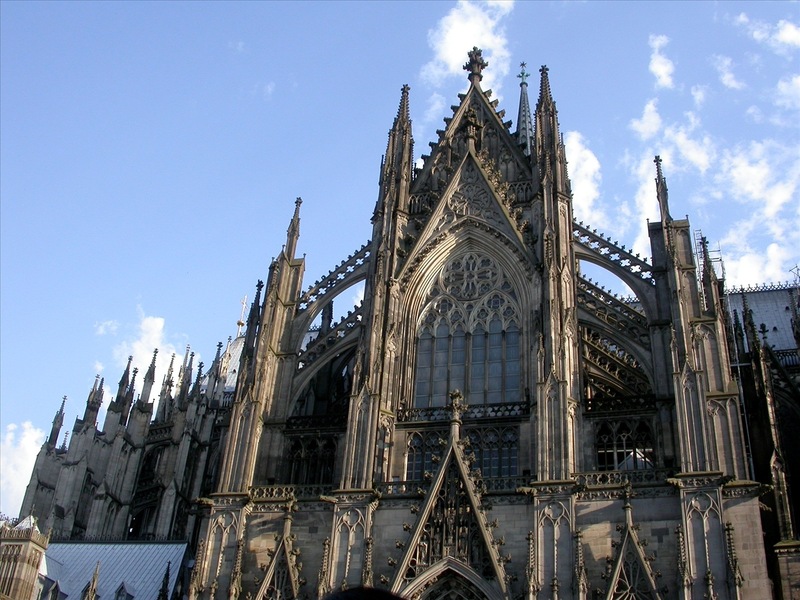 The foundation stone was laid in 1280 on the site of the first church in Cologne which wasn’t impressive enough for the Church at large. The gothic architecture, featuring dark stone, gargoyles and flying buttresses, is due to the Prussians’ misguided idea that Germans invented the unique style (they did not–the French did) and money poured freely into the coffers to offer up a uniquely “German cultural landmark” to unify the new German state in the 19th Century. Lauren and Kristen took a tour of the cathedral while Tim entertained the un-interested (Will and Lilly) with a trip to Dunkin Donuts. In the tour, we learned about the patron saints of the church: The Three Holy Kings, AKA the three wise men who visited Baby Jesus. In a golden, jewel-encrusted box on the altar lays the remains of the kings. DNA testing on the bones and the clothing has proved that they are indeed from the 1st C…whether they are the wise men, we’ll never know for sure. 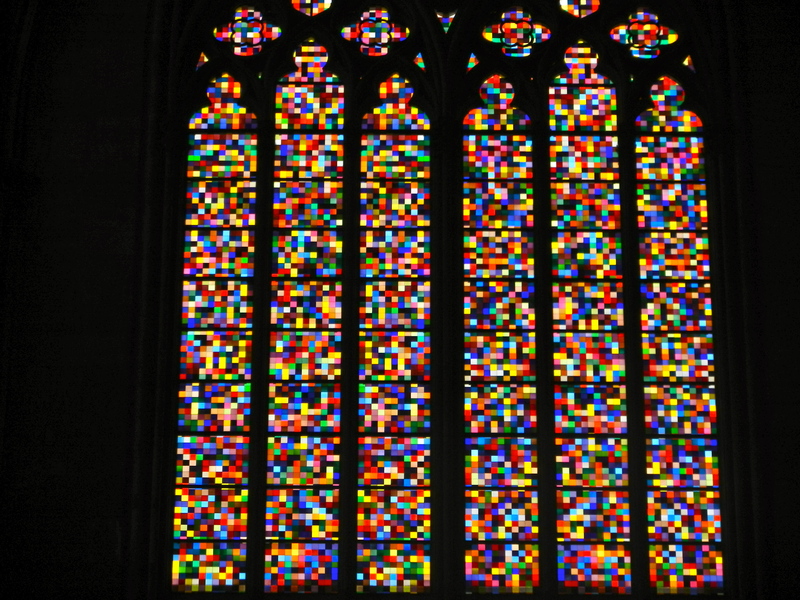 We also enjoyed learning about the stained glass in the cathedral which was relatively unharmed during WWII (only the north tower suffered bomb damage) All windows were removed and stored for the duration of the war. 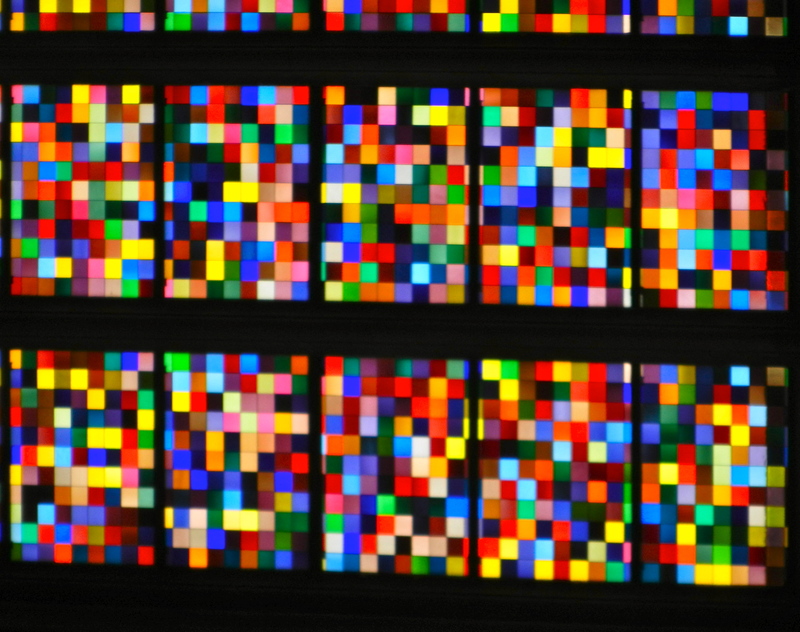 The most recent window, installed in 2007, features thousands of technicolor squares with no discernible pattern…it is a fabulous addition to the cathedral.